Good morning and Happy Friday. I hope your week has been a good one. Today’s Friday Favorites post is a little all over the place as I have 3 books to share, some recipes I can’t wait to try and a new sweater that I’m absolutely loving. I’m about to head out for an appointment so I’ll keep this introduction short and sweet. I hope you all have a wonderful weekend and please let me know in the comments if you have any favorites worth sharing. I have two books to share that I’ve recently finished and enjoyed. The first is My Name is Venus Black,a heartfelt story about family, love, and forgiveness, and how to find your place in the world. Its a fast pace novel about a young woman using a new name to escape her dark past and find the redemption she desperately seeks. The next book is The Line That Held Us .This is actually a novel I never would’ve picked up on my own but after seeing it on several book list I decided to give it a go. I’m so glad I did and the suspense made this book a real page turner for me. The story is dark but the writing is powerful. I started an online bible study this week through Proverbs 31 ministries. 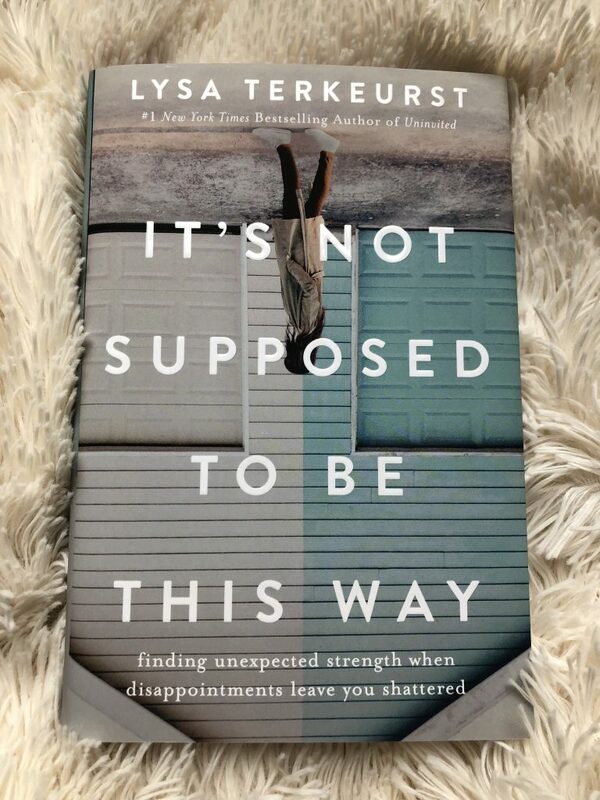 We’re doing Lysa Terkeurst new book “It’s Not Supposed To Be This Way” which I’ve been so excited about reading. I should start by saying this is the fist online study I’ve done with Proverbs 31 and I’m blown away by the depth and details that goes into each weeks lesson. Life often looks very different than we hoped or expected. Through Lysa’s book and the study we’re learning to shift our suspicion that God is cruel or unfair to the biblical assurance that God is protecting and preparing us. We’re still in the first week but I’m really loving it. I recently ordered this sweater and loving it! The material is very comfortable and I’ve been throwing to on with skinny jeans and booties for an easy outfit choice. I’m all for easy meal prep recipes. How’s this for the easiest meal prep meal ever. The perfect game day wings. I am doing Lysa’s online Bible study, too!